Now that Fall is officially upon us, I am ready for all things pumpkin, apple, and spice. To mark the occasion and get the season started right I felt it appropriate to share a Fall flavored breakfast idea. 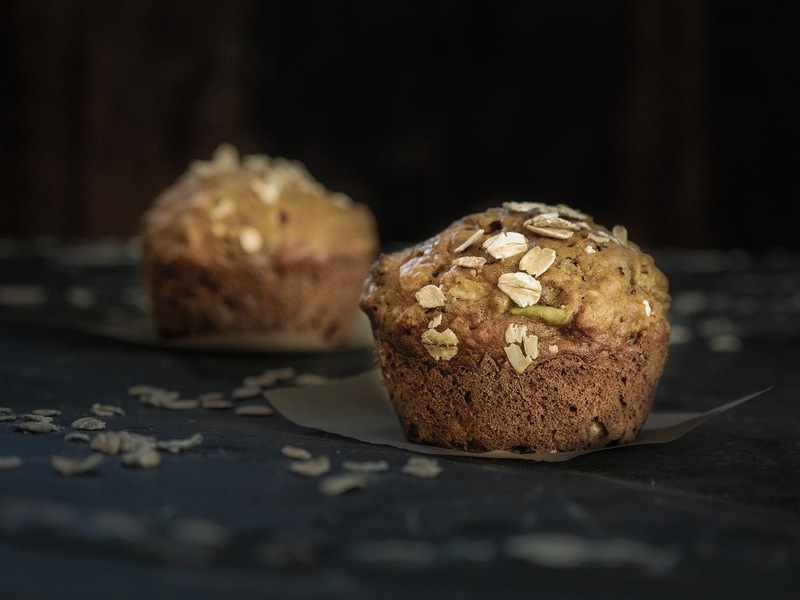 These Apple Chia Muffins are seriously some of the best-tasting muffins I have ever made, and are definitely some of the best looking. I know, most of you have probably already been having your pumpkin spice lattes and other Fall flavored goodies for a while, but I am a hold out this year. And even though I can still find peaches alongside apples at the farmers' market I'm definitely seeking out Fall ingredients like apples, pears, and winter squashes. I know muffins aren't necessarily the healthiest breakfast, but I think including The Chia Seed Co chia seeds from this month's Degustabox certainly upped the healthy quotient. I also only used 1/4 cup of honey to sweeten the batter. I highly recommend splitting them and giving them a quick toast. Smear on a little butter and extra sprinkle of cinnamon. It's the perfect way to welcome a crisp Fall morning. Grease 12 cups of the muffin tin. In a large bowl, whisk together the oil and honey. Mix in the milk, shredded apple, vanilla extract, cinnamon, ginger, and allspice. 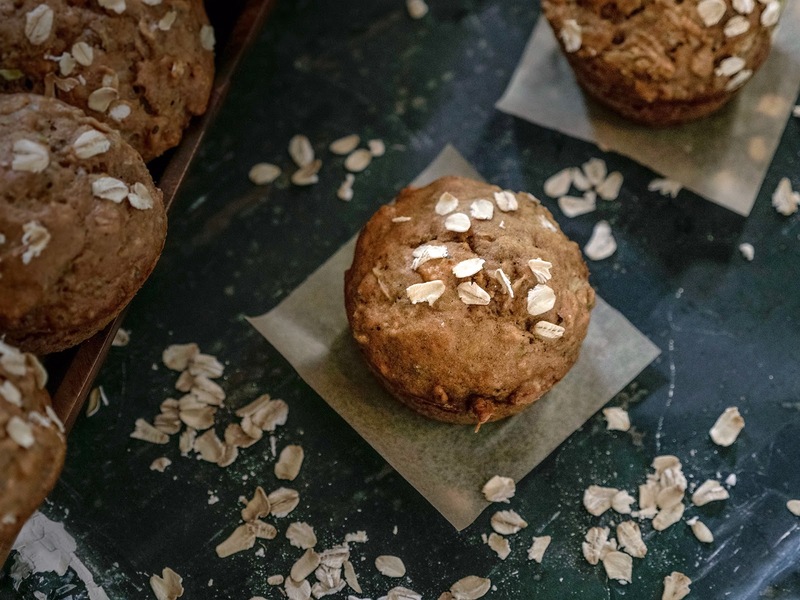 In a separate bowl whisk together the pastry flour, baking soda, baking powder, oats, and chia seeds. Divide the batter evenly between the muffin cups. Sprinkle the top of each muffin with a pinch of oats. Bake for 25 minutes, until a toothpick inserted into a muffin, comes out clean. Let the muffins cool. Once cooled, serve or store in a container for up to 4 days in the refrigerator. You can also store the muffins in an airtight container for up to 3 months in the freezer.